Betty Ann Lefavor Anderson was born on October 17, 1928, in Salt Lake City, Utah. She was the last of six children born to William Thomas Lefavor, Jr., and Ruth Cherrington. She attended schools in the Sugar House area, graduating from South High in 1945. She met James C. Anderson at the University of Utah. They married August 15, 1947. Jim and Betty moved to Boise in 1951, where Jim taught in the Boise Public Schools for many years. They had four children: Chris, Nancy, Steve, and Pat. As most women of her generation, Betty was a homemaker. She was a good cook and was noted for her orange rolls. She loved good food and sharing meals with her family. She was an active member of the Boise 4th and 17th wards of The Church of Jesus Christ of Latter-day Saints. 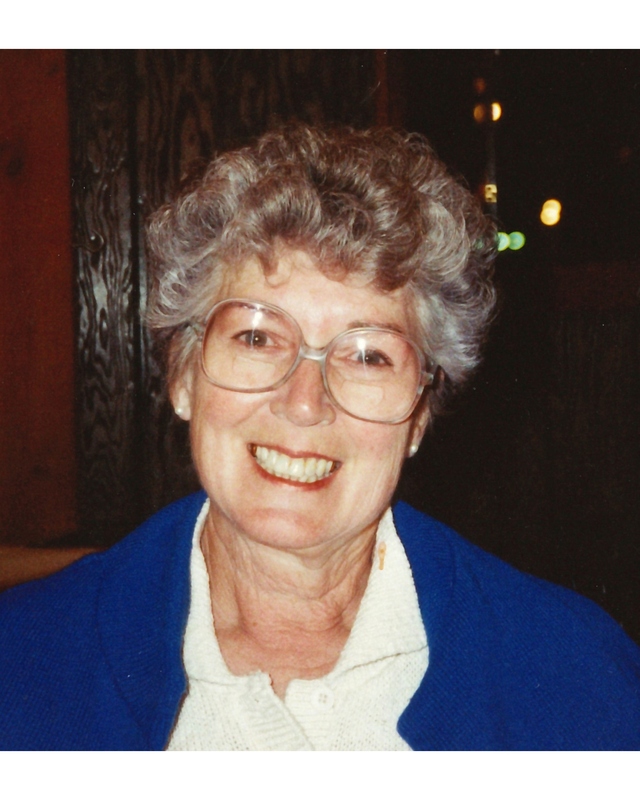 She served many years in the church’s youth organizations. She was a good friend and neighbor and was quick to see a need and try to help. After Betty’s children were grown, she enjoyed working in the insurance industry. She was recognized by her colleagues for running an efficient and fun office. Betty loved to travel and especially loved spending time at the Oregon coast. At the time of her death, she and Jim had 16 grandchildren and 23 great-grandchildren. She was preceded in death by her parents, her brothers, Vern and Leo, and her sisters, Virginia, Lorraine, and Helen. She is survived by her husband Jim, two daughters, Chris Anderson and Nancy Christensen (Gary), and two sons, John Steven (Stephanie) and James Patrick (Julie).